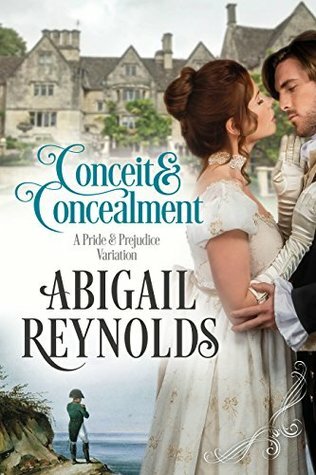 Conceit & Concealment by Abigail Reynolds is Pride & Prejudice set in an alternate history in which Napoleon successfully invaded England. It has been six years since the invasion, and it is clear that England has not succumbed to foreign rule quite yet. When Elizabeth Bennet meets Fitzwilliam Darcy for the first time, she is told he is a French sympathizer. Although not like other wealthy men who have struck deals with the occupying rulers, Darcy faces Lizzy’s condemnation, even as she finds his company pleasant. The French in charge of Meryton are less than civil, with one commander making illicit passes at the Bennet sisters, forcing one into hiding. Even as Wickham lurks among the French soldiers, Darcy is unphased by his presence because he has more conflicting emotions to deal with. He’s slipped in his conversations with Lizzy, and he’s even allowed Georgiana to spend time with her and her sister, Jane. It’s been a long road of protecting his sister from harm, but all could come apart if he continues to trust Lizzy with his secrets. Too much hangs in the balance for Georgiana and the fate of England. When Darcy is no longer able to care for Georgiana, he is forced to make a leap of faith, one that could leave Lizzy’s reputation in tatters. Reynolds’ latest novel is wildly creative and engaging — espionage, uprisings, and alternate history — that will leave readers on edge as beloved characters are arrested as traitors and subjected to torture at the hands of the French. The secrets are swirling around Hertfordshire and London, and Darcy’s family is at the center of most of it. Readers will have a hard time not reading into the wee hours of the night. Conceit & Concealment by Abigail Reynolds is one of my favorites and highly recommended. Another for Best of list consideration. 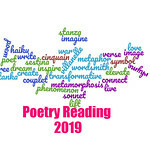 A life-long lover of Jane Austen’s novels, Abigail began writing variations on Pride & Prejudice in 2001, then expanded her repertoire to include a series of novels set on her beloved Cape Cod.Her most recent releases are Conceit & Concealment, the national bestsellers Alone with Mr. Darcy and Mr. Darcy’s Noble Connections, and Mr. Darcy’s Journey. Her books have been translated into five languages. A lifetime member of JASNA, she lives on Cape Cod with her husband, her son and a menagerie of animals. Her hobbies do not include sleeping or cleaning her house. Serena, this does sound very entertaining. Excellent review! I’m glad that you enjoyed it so much. It was very creative for an alternate history. So glad to see you loved this. I can’t wait to read it!